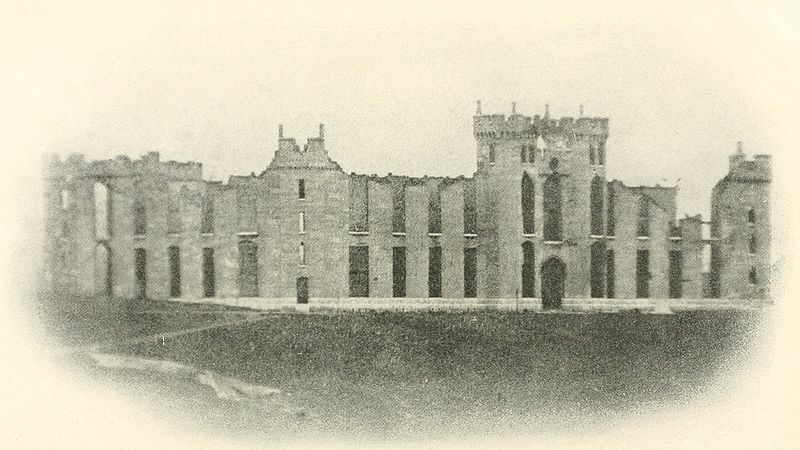 The Virginia Military Institute in ruins. This entry was posted in Battles, Campaigns, Question of the Week and tagged Jubal Early, Phil Sheridan, Question of the Week, Stonewall Jackson, Virginia Military Institute. Bookmark the permalink. 1864–signalled the death knell of the Confederacy. 1864 because of the Burning. Demorallizing destruction of public and personal property. I agree with all of the above. It is also ,perhaps, the single most reason why there is still animosity today. 1862. Its impact on strategic and command decisions was greater. I agree with Ned B. By October, 1864, before the Battle of Cedar Creek, the South’s chances of any type of victory were probably used up anyway. The Valley Campaign of 1862 was necessary for the continued survival of the Confederacy when it mattered most. The comments of Frank J. Piatek and Ned B. are well taken that the 1862 campaign had greater strategic military significance, because the valley continued to distract Federal attention and divert resources from other campaigns for the remainder of the war. But, as touched upon by Joe Truglio, the 1864 campaign may be more significant from a broader political perspective because it may have done greater harm to the process of reunification of the country than it did to contribute to the surrender of the Army of Northern Virginia. Good question! 1862… Lincoln hampered McClellan by not allowing McDowell to join up with him.